Our Partnership and Programs Director (PPD) leads and supports Act for Peace’s Partnership and Program’s Department to deliver on goals relevant to achieving Act for Peace’s strategic plan. Working with a mobilised and skilled team, he/she leads Act for Peace’s strategic thinking on partnership and program strategy, design and implementation. The PPD is responsible for Department budget, annual plans, quality, and monitoring, evaluation and reporting against strategic objectives and donor requirements. The PPD is responsible for ensuring the Department continues to increase institutional grants and works in close collaboration with other Departments to ensure relevant policy, advocacy, public fundraising, compliance and management accountabilities are achieved. The PPD represents the Agency in external networks and joint initiatives and is a member of our Leadership Team. Our PPD will provide evidence of strong leadership and management capacity, great stakeholder engagement skills, expertise in developing and delivering on strategy and a focus on quality and accountability. Act for Peace works with partners supporting communities threatened by conflict and disaster through a community based protection model. Experience in programming in the sector is essential. 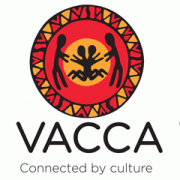 Act for Peace was founded in 1948 by the National Council of Churches in Australia (NCCA). Our vision is for a peaceful world where all people share a safe, just and dignified life. Our purpose is to empower passionate people to work together to achieve safety, justice and dignity for communities affected by conflict, disasters and displacement. Act for Peace strives to achieve lasting change through: a) building and maintaining close long-term partnerships with local organisations working to assist, protect and empower crisis-affected local communities; b) providing funds, program technical support, organisational capacity development and, where required, direct implementation support, to local partners; c) networking, alliance-building, policy development and advocacy, and; d) prioritising ongoing research, learning, innovation to foster and maintain our ability to provide valued technical support for protection and disaster risk management. Our overseas work in Asia, Africa, Middle East and the Pacific regions assists partners working with communities in or from Syria, Palestine, Zimbabwe, Ethiopia, South Sudan, Sri Lanka, Myanmar, the Philippines, Afghanistan, Pakistan, Indonesia, Tonga and Vanuatu. In Australia, our focus is on supporting refugee initiatives. Our current focus is on community based protection, disaster resilience, emergency response and sustainable development. 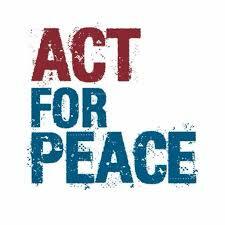 Act for Peace is also a member of the global ACT Alliance, which provides development and humanitarian assistance in more than 140 countries, enabling us to respond immediately to emergency situations and to advocate with strong global voice. 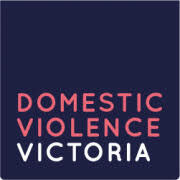 Please quote in application: Partnership and Programs Director via Pro Bono Australia.